This past Saturday my local quilt guild held a machine quilting class with Christa Watson. She is every bit as delightful in person as you would expect. Even though I've done quite a bit of machine quilting, it was still great to hear her take on various techniques and practices. I used my time in her class to focus on a few designs and motifs that I've not really done. It's always nice to just play without the pressure of a finished project. 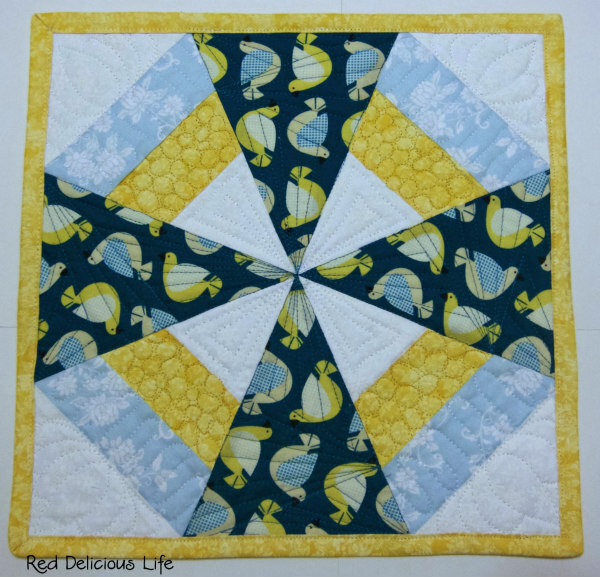 I enjoyed doing some straight line quilting and definitely want to incorporate more of it in my projects. 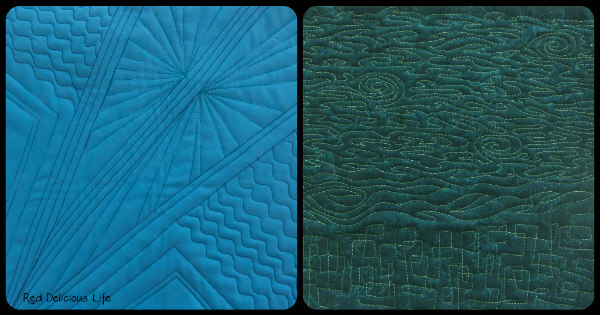 I also explored some free motion line quilting to be used as an all-over filler. I used my old test block for my Dutch Windmill pattern as a practice piece and turned it into a mini for my sewing room. It also happens to be one of the projects that I wanted to finish this quarter for the 2016 Finish Along. 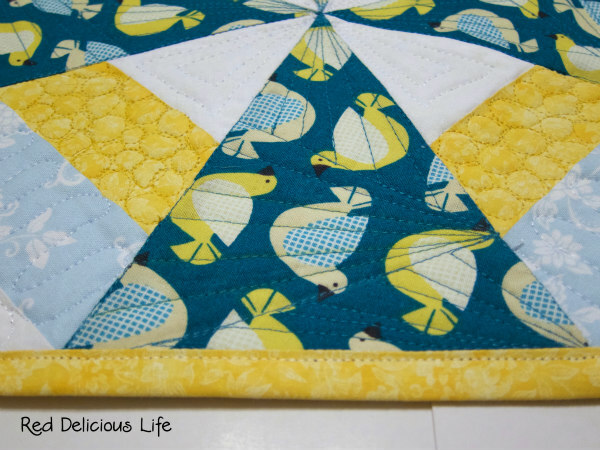 One motif that I definitely want to try in the near future is this yummy triangle pattern that Christa showed us. 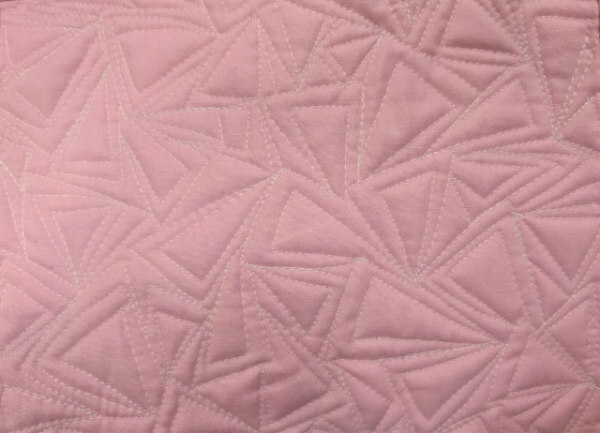 One of Christa's quilting samples. I have a charity top and a pulse top that I need to quilt this week. Maybe I'll try quilting something different and new to me. You're a fast blogger (I haven't unpacked yet). I loved her class too! I will definitively try incorporate more geometric lines in the future, but it does not come naturally. 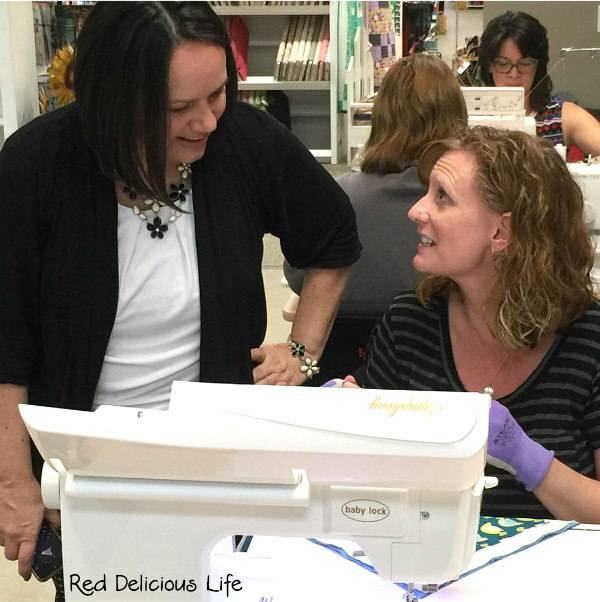 Looks like a great class, those new quilting designs look great. Your samples are nice, I especially like that boxy stippling! Looks like a fun class! What a great experience! It's would be so cool to learn some new quilting techniques, good luck expanding your skills!